Michael A. Shichman is an attorney with 28 years of experience, specializing in the field of Creditor's Rights. 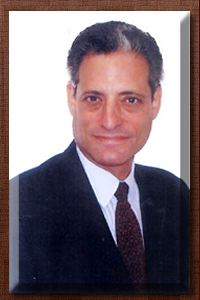 Mr. Shichman is a licensed real estate broker and the founder of MAS Realty Management Company and MAS Realty. During the 1980's, as a Sponsor, he successfully converted seven multiple dwelling apartment houses throughout the New York / Long Island metropolitan area to cooperative ownership. In addition to performing numerous real estate contractings and closings Mr. Shichman provided brokerage, financing, comprehensive property management as well as capital improvement services. He supervised sixteen (16) employees within his organization. Michael A. Shichman was raised with his two younger sisters and family pets in Great Neck, Long Island. He was the first child in three generations of his family to go to college, attending the University of Rhode Island, where he graduated Dean's List in 1975 with a B.S. in Business Administration. After graduating and joining the work force in New York for two years, he decided to pursue a career in law and did just that, as described, above. After practicing in varied fields of law, including real estate, bankruptcy, domestic relations and general business, Mr. Shichman became enamoured with the idea of representing creditors. His experience in the real estate management and sales industries taught him how difficult it is to run a business profitably without being able to maximize economic returns, specifically-- getting paid for the services rendered and goods supplied! Mr. Shichman has two adult sons, one a social worker and the other a sculpter. He resides in Old Brookville with his wife, their Yorka-Poo, Tortoise Shell Persian cat and 20 year old Tortoise.